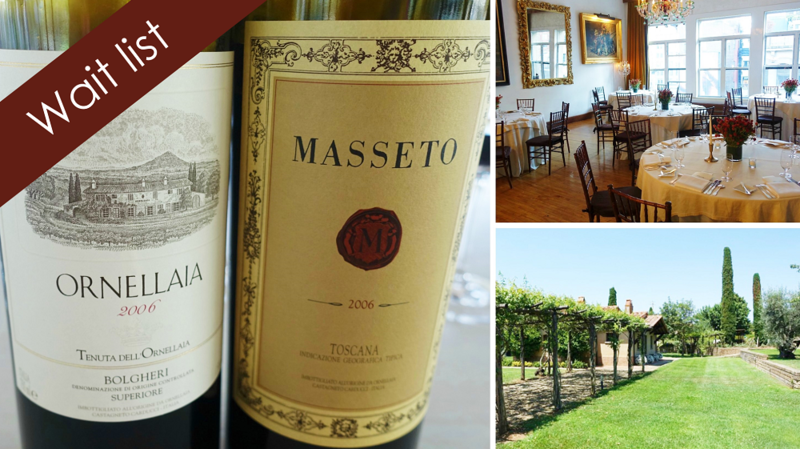 Join Antonio Galloni and special guest, winemaker Axel Heinz, on Monday December 5, 2016 for an extraordinary evening featuring eight vintages of Masseto and Ornellaia, tasted side by side, all from magnum. David Bouley’s Test Kitchen will be the setting for what promises to be a truly once in a lifetime comparative tasting/dinner that has never been done before and will likely not be repeated anytime soon. The vintages are 2010, 2007, 2006, 2004, 2001, 1998, 1997 and 1995. This event has sold out to Premium Subscribers. To be added to the wait list, please contact info@vinous.com. Seats are $1,400+tax per person. * all information on this page is accurate as of October 12, 2016 and is subject to change.